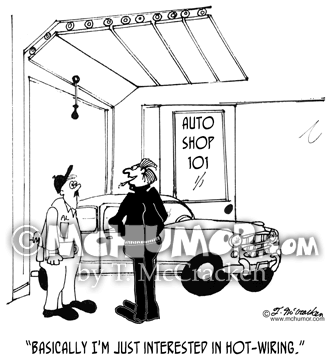 Thief Cartoon 4988: A thug in "Auto Shop 101" says to the instructor, teacher, "Basically I'm just interested in hot-wiring." 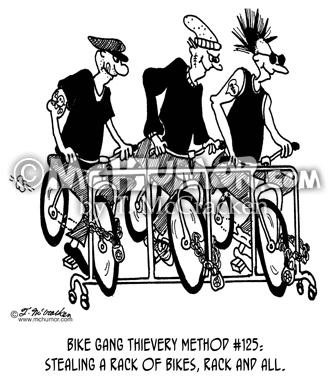 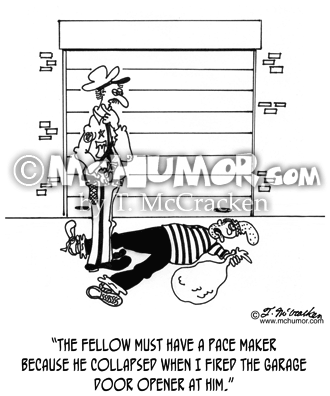 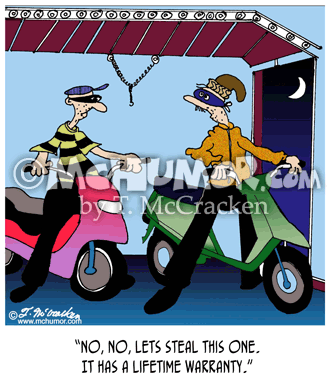 Scooter Cartoon 7428: A thief says to another taking a scooter from a garage says, "No, no, lets steal this one. 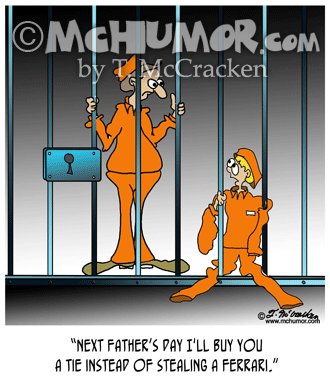 It has a lifetime warranty." 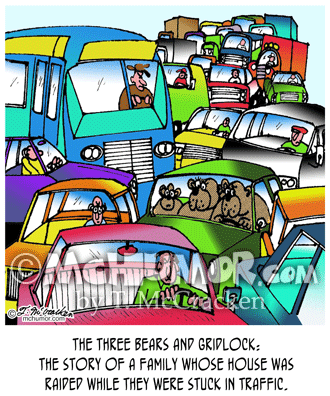 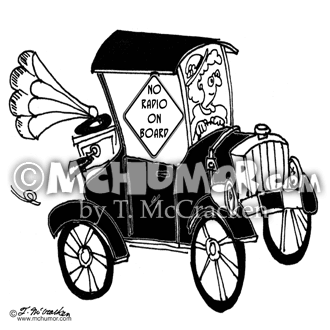 Radio Cartoon 5760: An old car that has a "No Radio On Board" sign has a huge old gramophone on the dashboard. 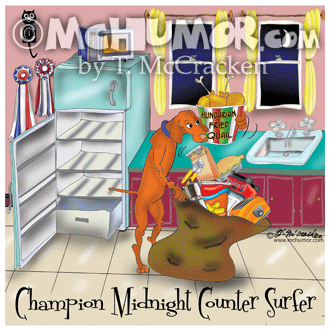 Dog Cartoon 8730: "Champion Counter Surfer." 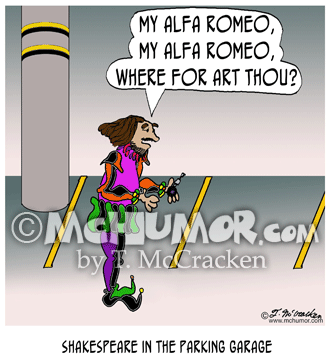 A dog clears a counter of everything, including can openers, an espresso pot, a toaster, and a bucket of quail. 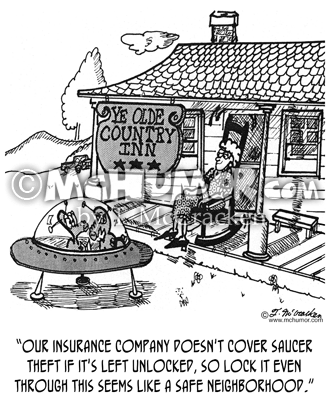 Insurance Cartoon 3884: A space alien in a UFO that's landed in front of a quaint hotel says, "Our insurance company doesn't cover saucer theft if it's left unlocked, so lock it even through this seems like a safe neighborhood."